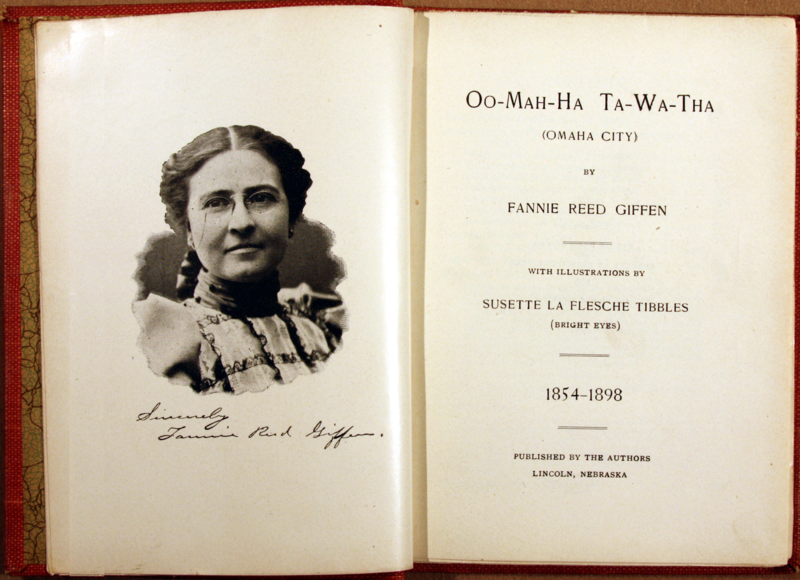 Oo-mah-ha Ta-wo-tha (Omaha City) 1854-1898, with illustrations by Susette La Flesche Tibbles (Bright Eyes), 1st ed. This book contains the treaty signed with Omaha Indians in 1854, biographies of chiefs who signed the treaty, and Indian folklore and songs. Illustrated and published by Indian women, and with stories and translations by Indian women, it is an early example of American Indian women writing books and being involved in their production.